Burrell Lee* came to Arkansas Territory from Tennessee in 1830 as a preacher in the Methodist Episcopal Church and a missionary to the Indians. Because he organized the Methodist Society at Batesville (Independence County) in 1835, which hosted the first session of the new Arkansas Conference of the church the following year, he is referred to as one of the fathers of the Methodist Church in Arkansas. Raised a Baptist, he converted to Methodism at age sixteen and was licensed to preach by the Tennessee Conference of the Methodist Episcopal Church in 1828. 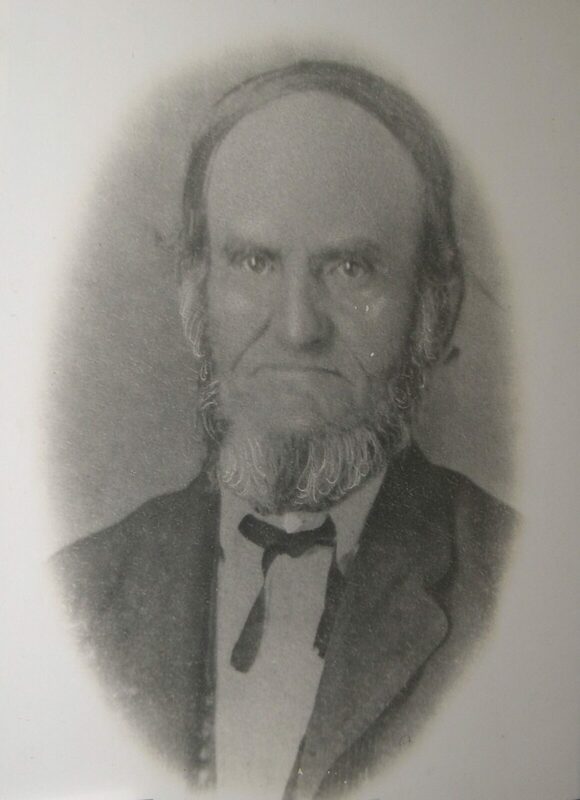 He came into Arkansas Territory in 1830 and was present in Batesville on April 9, 1831, when he solemnized the marriage of William Porter and Martha Bateman, the first of many marriages he would perform in Independence County over the next forty-six years. On July 2 of that year, he helped organize a local Temperance Society in Batesville. Arkansas Territory was then a part of the Missouri Conference of the Methodist Episcopal Church. Lee rode the White River and Spring River circuits in north Arkansas before going to preach and teach among the Cherokees in what is now eastern Oklahoma. The Missouri Conference had made its first appointment to a Cherokee mission in 1832. The following year, conference records show that Burrell Lee and Thomas Bertholf, who had an Indian wife, were appointed to “Adairs School #1 and #2.” Presumably, these missions, which were a combination of school and church, were located in the vicinity of the present Adair County, Oklahoma. Lee was ordained an elder by the Missouri Conference in 1835 and was married in that year to Ann Maria Smith. Soon after their marriage, they took up residence on a farm near Batesville. They had three children before Ann Maria died near Batesville in 1849 of unknown causes. In 1835, Lee presided over the organization of a Methodist Society, the first step toward a station church, one which is an official conference appointment. The following year, after Arkansas had achieved statehood, Lee and the Batesville Methodist Society hosted the first session of the newly formed Arkansas Conference of the Methodist Episcopal Church. Lee was appointed presiding elder over the new organization. He “located”—that is, he retired voluntarily from the itinerant ministry (ministers who accept appointments to move from place to place) after three years as presiding elder in order to make his living by farming. He continued, however, to perform marriages and funerals and often preached in Batesville and at other Methodist churches in the area when no regular preacher was available. In 1849, he helped found Ebenezer Methodist Church near Moorefield (Independence County). That church was later renamed Lee’s Chapel in his honor and is known today as the Moorefield United Methodist Church. On January 9, 1851, Lee married his second wife, Susan Serena Brownfield, in Little Rock (Pulaski County). The couple had three children. Lee also had a modest political career. From 1850 to 1854, he served as Independence County treasurer, and in 1873, he was a member of the Batesville City Council. During the Civil War, Lee’s sympathies lay with the Confederacy. There was a shortage of pastors during the war, so he returned to the itinerancy and accepted appointment to the Batesville church from 1865 to 1866. He retired from the active ministry in 1867 but again served as minister at the Batesville church in 1868 and as presiding elder of the Batesville District in 1869. He filled in again, briefly, in 1876, when the Batesville church lost its appointed preacher to the Episcopal church across the street, and he was still performing marriages in the area as late as 1877. Lee’s death on May 28, 1877, followed what his obituary in the Batesville Guard called “a long and painful illness.” He is buried in Batesville’s Oaklawn Cemetery beneath a marble monument placed by the First Methodist Church. A plaque commemorating his service was moved from an earlier church building and can be seen today in a prominent position near the chancel of the sanctuary of First United Methodist Church in Batesville. Arkansas Annual Conference Journals, 1836–1878. Arkansas United Methodist Archives. Bailey Library. Hendrix College, Conway, Arkansas. Britton, Nancy. The First Hundred Years: First Methodist Church, Batesville, Arkansas 1836–1936. Little Rock: August House Publishers, 1986. Minutes of the Arkansas Annual Conference Sessions (1836–1878). Microfilm. Arkansas History Commission and State Archives, Little Rock, Arkansas.